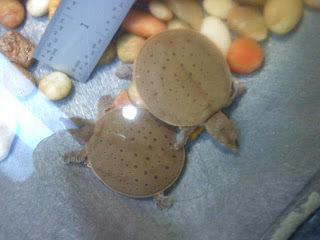 Two of the 35 new baby Spiny softshell turtles enjoying their temporary winter home at ECHO. Doing well in transitioning to their new captive diet. You are doing great. Keep it up. I like this post very much. You are saving the nature.